Visiting the Moscow Metro is one of the focal points of every tourist's itinerary. If you wish to explore its ballroom-like stations on your own this Guide is a must read. We have analysed the difficulties tourists experience on the Moscow Metro and are now happy to share with you the tips on how to avoid them. Take a few minutes to read it though and it will save you lots of time trying to figure out Moscow metro system! Opened in 1935, the Moscow underground is not the world’s oldest rapid transit system. Its engineers had taken into account the imperfections of the metro systems which already existed by that time, and made the Moscow metro a lot easier to use. However, the answer to the question whether the Moscow subway system is really easy to use entirely depends on your knowledge of Russian or rather the ability to read it. While the city government is working on sign-posting (hopefully, it will be done by the end of 2013), the following tips and recommendations will be of particular use to all non-Russian speaking travellers willing to explore the city (and the Moscow Metro stations) on their own. 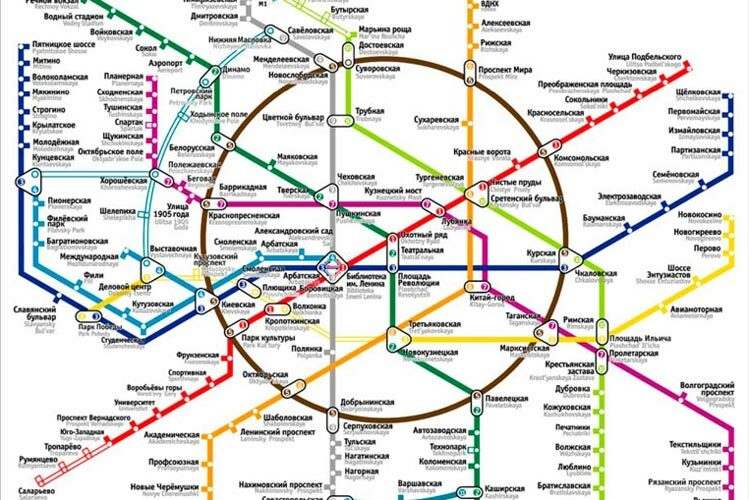 All the Moscow subway stations stations are divided into Ring stations (those at the Circle (brown) line) and radial stations (all the other lines). Lines are distinguished by name (will probably be useless for you, and Moscovites seldom use these names anyway), colour and number (i.e. the Green Line is number 2, while the Grey Line is number 9. In some cases, two stations, if located at the intersection of the Circle and one of the radial lines, share the name. A good example is Kievskaya where 3 stations (at the intersection of two radial and a circle lines) bear the same name. Sometimes the same thing happens with 2 radial stations (which are not necessarily connected! ), e.g. there are two Smolenskaya stations which belong to the Dark-blue and Light-blue Lines. So it's important to know the colour of the line where your station is located. Also, in the vast majority of cases, one station (railway platform) serves trains of one line. However, there are a few exceptions to the rule, i.e. stations which serve trains of different lines. In the city centre they include Kitay-Gorod and Tretyakovskaya. These stations pose difficulties even for locals, so be careful with them. You will probably need to turn for help (see below) if you have to change lines at such stations. There are also a few intricately connected stations. For example: a change from one of the following stations: Biblioteka Imeni Lenina, Borovitskaya, Arbatskaya or Aleksandrovskiy Sad (where 4 lines intersect) to another line can be somewhat tricky as it may only be done via a third station connected to the other two. A similar case is with interconnceted Okhotny Ryad – Teatral’naya – Ploshchad’ Revoluytsii stations where the change from Okhotny Ryad (Red Line) to Ploshchad’ Revoluytsii (Dark-blue Line) is only possible via the Teatral’naya station (Green Line). 1. Calculate your travel time here. 2. Take a Metro map with you. Using the Metro will be a lot easier if you have the map with you. Maps are not freely distributed at the entrance to the metro (like in some other capitals) or sold at the ticket office. So before going out make sure you picked it from your hotel lobby or use the one in your guidebook. 3. Watch for your belongings (passports, purses, cameras) and keep them close to you. Moscow, like any of the other world’s biggest cities, attracts a large number of people, including migrants and those just loitering around. Be extra careful at the most visited tourist stations inside the Circle Line and, especially, at the Circle Line (it always feels like a rush-hour there). It not only attracts tourists by its fascinating ballroom-like stations but is also connected to the 7 (!) out of 9 Moscow railway stations. Now, once you are in, you will need to buy a ticket. 4. To buy a ticket you’ll need cash (credit cards are not accepted). 5. Consider purchasing multi-ride tickets, if necessary. 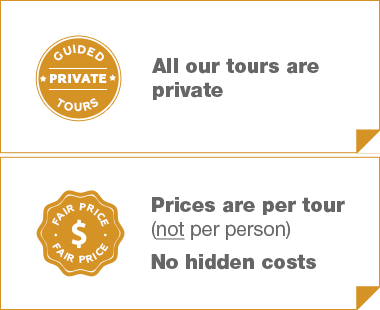 Check the fares here. Please note: there is a validation period for the tickets, depending on the number of rides they allow: 1 and 2-ride cards are valid for 5 days (incl. the day of purchase), cards for 5, 10, 20 and 60 rides are valid for 45 days (incl. the day of purchase). 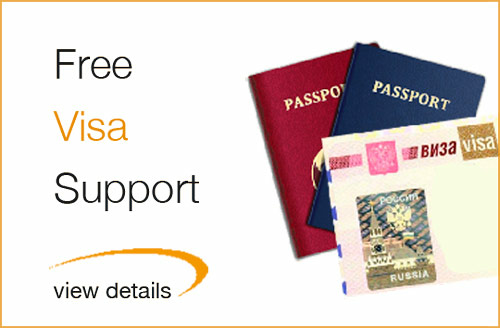 You can also choose to get a Smart card which is valid 24 hours and costs 200 Rubles. 6. There are no travel zones. It doesn’t matter how far you travel or how long your trip is. You’ll need a ticket only once at the entrance to the metro and don’t need to keep it till the end of your trip (unless you have unused rides in it!). 2) OR at a ticket-vending machine if you want to avoid a queue. They do not, however, accept high denomination banknotes (no higher nominal than 100 Rubles) and can only sell cards for 1 or 2 rides. To go through a turnstile, press your ticket to the touchpad (a yellow circle). Most of the turnstiles (but not the one on the picture though!) are equipped with small electronic scoreboards which show the number of passes left. Once the green circle lights up you can go. 10. To find out the name of the station you are at, look at its name inscribed on the wall. Do not look anywhere else as it may be misleading. Please remember: some stations (especially if they are connected with another one) may share the name, as was mentioned above. 11. Taking pictures IS allowed in the Moscow Metro. However, it should not distract the train drivers (if trying to take a picture of an arriving train turn off the flash not to blind the driver) or policemen (they don’t like to be photographed in general). 1) the signs hanging down from the ceiling. Red arrows indicate the end stations of the line which will help you to figure out the right direction. NB: Looking at the numbers on the blue background (where the blue arrows are pointing) won’t give you any useulf information, just neglect them. 2) The signs placed on the stations’ walls above the railways are also a lot more informative. 12. Remember: a male voice announces stops when the train goes to the city centre, while a female voice announces stops when it is going away from the city centre. 13.There are also a few more signs which indicate other directions, i.e. for a change to another line (ПЕРЕХОД) or a way out (ВЫХОД В ГОРОД). Sometimes they are placed on just one board sign (if there is a connected station) and their directions may coincide. 14. Use Help Points – red-and-blue columns – installed at each Moscow metro station. You will get assistance in English. 15. You can also turn to other passengers for help. Please don’t expect everyone to speak good English (and willing to help) however, many Russians still don’t speak English and don’t like to look embarrassed when they are not able to understand you. As a rule the younger generation speaks better English. While I am trying to take into account all the main difficulties non-Russian speakers usually encounter while exploring the Moscow Metro on their own, the recommendations mentioned in this article cannot be considered exhaustive or complete. 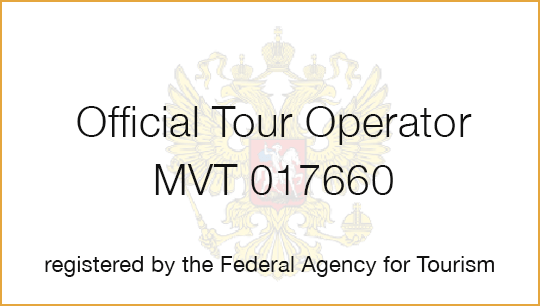 If you would like a relaxed and guaranteed trouble-free exploration of the world’s finest underground system, you may wish to book one of our Moscow private tours! * Partial or total reproduction of this text is possible upon the permission of the author and with a reference to this web page. Diana Zalenskaya, a travel professional and destination expert for Moscow, Russia.